between Auctioneer and each Participant, Bidder, Buyer and/or attendee at the Auction. Fund. Cynthia Schillig licensed for Real Estate by the state of Ohio Dept. of Commerce 2008001253. 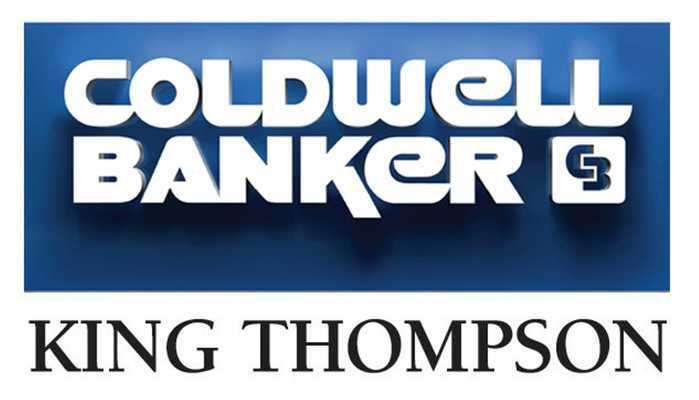 The Broker of record is Coldwell Banker KING THOMPSON. each Participant agrees to be bound by, and to abide by, these Bidder Terms and Conditions. 5. Buyer's Premium. The Property, 6425 Borror Rd. Grove City 43123, offered is subject to a 10% Buyer Premium of high bid added to the high bid to determine the final Purchase Price of the Property. The Buyer Premium will be collected at closing with a credit of Deposit held in the Coldwell Banker King Thompson escrow account. by Auctioneer, and may be removed there from. 7. Bidder Registration: All persons desiring to register for bidding privileges for 6425 Borror Rd. Grove City, OH 43123 will register with a valid Drivers Lic. and $15,000.00 (Fifteen Thousand Dollar) Cashiers Check, with Agency, Property Disclosures, and Bidder Registration documents. $15,000.00 (Fifteen thousand dollars) and will be applied at closing. has read, understands, and agrees to be bound by, these Bidder Terms and Conditions. issued a Bidder Number, and agrees to be bound by these Bidder Terms and Conditions. further advancement, the hammer will fall on such bid for the purpose of identifying it as the high bid. 10. No Bid Retraction. No Bidder may retract a bid that has been acknowledged by Auctioneer. withdraw any tendered bid that has been acknowledged by Auctioneer. necessary online forms and providing all required information. Auction Site, or as otherwise published on Auctioneer website. 12.3. Posted Times. All times are based on the Eastern Standard Time zone unless stated otherwise. Any posted closing times and time displays at the Auction Site and online are approximate. Registered Bidder, and is, thereafter, confirmed by Seller, such Registered Bidder will be the Buyer. 12.5. No Reduction/ Retraction of Online Bids. Not Applicable Online bids may not be reduced or retracted. Site, Registered Bidders bidding online may only bid in whole bidding increments. record of sale will govern. problems with a Registered Bidder&#39;s internet connection, computer, or system. execute an online bid or for errors or omissions in connection with this activity. maximum amount of the Absentee Bid is, or would be, reached. present at all times including Open House events to qualify for 2.5% Co-Op of Hammer Price. Winning Bid for the Property offered for sale at the Auction will be the Buyer of the Property. THE TIME OF THE AUCTION, WITH ALL FAULTS INCLUDING ANY HIDDEN DEFECTS OF ANY NATURE. ACTING AS AGENT OF THE SELLER, ORALLY OR IN WRITING, ABOUT THE PROPERTY. Auction are binding and take precedence over any advertisements or listings. not create any warranty, expressed or implied, or representation by Auctioneer. 24. Deposit. The Winning Bidder will make a Deposit in an amount of $15,000.00, applied at closing, payable to Coldwell Banker King Thompson Escrow This deposit is non-refundable except in the case of title. good and marketable title to the Property. electronically, or by other means. Auctioneer’s sole and absolute discretion, reopen the bidding. will be apportioned as set forth in the Realty Purchase and Sale Agreement. limited to lost profits or reduced productivity. Auction and any subsequent lower purchase price for which the Property may be sold. settled by Auctioneer who may, but will not be required to, re-open the biding. payment made in the form of a check that has been returned unpaid. the Purchase and Sale Agreement. fitness, use, damage, safety, or injuries to persons or property. will be entitled to receive the Buyer’s Premium or an amount equal to the Buyer’s Premium. participating in bid pooling will be referred for prosecution. Schillig Auctions and Coldwell Banker KING THOMPSON (the “Auctioneer”). prior to the Auction. Further I agree to no inspections after Auction. and acreage are approximate and should be independently verified prior to bidding. previously printed material or any other oral statements made. warranties, further inspections, appraisal, insurability, or any other issue. reserve, as an agent of the Seller, by bidding on behalf of the Seller. selling the Property, along with the amount of any shortfall at a subsequent sale. expenses of both sales, reasonable attorney’s fees, commissions. “Deposit” means the non refundable money that the Buyer must pay to Auctioneer on confirmation of the Winning Bid. The Deposit will be in an amount equal to ten percent (10%) of high bid or $5000.00 (five thousand dollars) which ever greater for the purposes of 292 N Harris Ave. Auction.